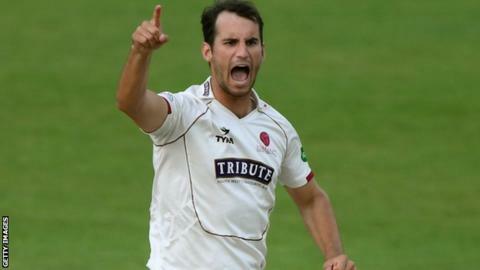 Somerset all-rounder Lewis Gregory is to be given injections in a bid to play through the pain of a stress fracture in his back for the rest of the season. The 24-year-old had been sidelined in recent games because of the problem. Somerset's plan is that he will undergo surgery at the send of the summer, unless an operation is required sooner. "Hopefully the jabs will numb the pain and allow him to bowl pain-free," director of cricket Matt Maynard explained to BBC Radio Bristol. "If that's not the case then he'll have an operation during the course of the season, but we're hopeful. "With injections, he's got a good record in terms of how he responds to the cortisone injections and the painkillers."